On May 24, the House Appropriations Committee approved the fiscal year (FY) 2017 Commerce, Justice, Science and Related Agencies (CJS) Appropriations Bill. This bill serves as the vehicle for annual appropriations for the National Science Foundation (NSF), Census Bureau, National Institute of Justice (NIJ), Bureau of Justice Statistics (BJS), and countless other federal departments and agencies. The Senate Appropriations Committee advanced its version of the CJS bill on April 21. The House bill would provide NSF with a total budget of $7.4 billion in FY 2017, slightly below the FY 2016 level of $7.46 billion. Most notably, the bill does not include language targeting social science accounts for cuts, as we saw last year. In addition, the House bill would provide NIJ and BJS with $40 million (+11%) and $48 billion (+17%), respectively, and $1.47 billion for the Census Bureau, an increase of 7.3 percent over the FY 2016 level, but 10 percent below the amount requested by the President. COSSA is pleased to announce that the first 25 volumes of the COSSA Washington Update are now available on the COSSA website, completing the online archive of the newsletter. The archive offers a unique window into nearly 35 years of social and behavioral science policy. The White House Office of Science and Technology Policy’s (OSTP) National Science and Technology Council (NSTC) Subcommittee on Social, Behavioral, and Economic Sciences recently released the first ever, Report from the Interagency Working Group on Language and Communication, “an inventory of current programmatic activities across Federal agencies and departments that relate to the scientific and technological aspects of language and communication.” The report explains why the government and the American people benefit from its investments in R&D activities relating to language and communication. A key feature of the report is the Language and Communication R&D Taxonomy providing a “common framework for developing a Language and Communication R&D Inventory Survey for collecting, cataloguing, and classifying the various R&D efforts across the Federal Government.” A main finding of the report, resulting from the application of the taxonomy, is that there are a number of cross-agency leveraging opportunities. It also includes an important recommendation that agencies should identify and develop opportunities to optimize the available Language and Communication R&D resources. The Interagency Working Group is comprised of 20 agencies and departments. It is led by Elizabeth R. Albro, Institute of Education Sciences (Department of Education), and CDR Joseph Cohn, Office of the Assistant Secretary of Defense (Research & Engineering). On May 18, National Institutes of Health (NIH) Director Francis Collins announced the selection of Maureen M. Goodenow as NIH Associate Director for AIDS Research and Director of the NIH Office of AIDS Research (OAR). 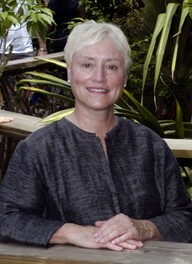 Goodenow, currently at the University of Florida, Gainesville, is a professor of pathology, immunology, and laboratory medicine, and the Director of the Florida Center for AIDS Research. She is expected to join the agency in July. The National Institute of Mental Health (NIMH) of the National Institutes of Health (NIH) is inviting “perspectives on the state of mental illness research” and the institute’s role in development of the research. The institute is seeking the input of the extramural community to “develop briefing materials that represent the full diversity of perspectives on mental illness research in preparation for the next NIMH director.” Comments are solicited on such topics as: basic neuroscience, translational, intervention, clinical, and services research; Research Domain criteria initiative (RDoc), global mental health, diversity and training of the workforce; advocacy and outreach efforts; and translational biomarkers. Comments are due June 30, 2016. For more information and/or to provide comments, click here.